The elephant-headed Ganesha is one of the most popular Hindu gods – the creator and remover of obstacles. Celebrating Ganesha is a Spotlight tour by the British Museum - as part of the tour a 13th schist sculpture of Ganesha will be touring six venues across the UK. 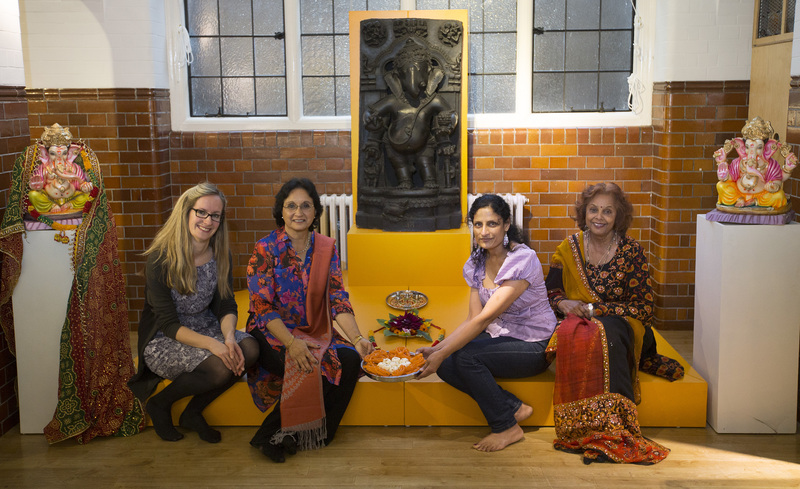 In this blog post Antonia Harland-Lang interviewed members of the Oxford Hindu Temple and Community Centre Project about what it meant for an 800-year-old statue of Ganesha to travel to Oxford from the British Museum, and their experiences of being involved in the project. Antonia: What does it mean for the statue of Ganesha to visit Oxford from the British Museum? Kanta: Ganesha visiting Oxford from the British Museum has been a catalyst to bring people together. It reflects the diversity of the city, its multi-cultural identity. It has also been a way of people learning about the Oxford Hindu Temple Project and how important Ganesha is to us. To me personally, Ganesha means the beginning of everything. So before I start anything, or embark on anything or do anything, my first port of call. Kiran: For many students who come to Oxford – many who come from abroad – this is a new step in their lives, which makes Ganesha very important for them. Kanta: Oxford is a university town…and there are so many obstacles in the way of students: writing essays, time keeping, going out, whatever it is. Ganesha is the lord of success and gets rid of all obstacles in your way. But he is also worshipped as the god of education, wisdom and wealth, and what better place than Oxford for all these things to come together. Antonia: How did you select the objects that you have loaned the Museum of Oxford to accompany the Ganesha statue? Could you tell us about a few of them? Kanta: When you welcome Ganesha into your home, you start at your doorway, laying out rangolis with colourful patterns. That’s why we made this special pair of rangolis to welcome Ganesha to the Museum of Oxford. The word rangolis derives from the Sanskrit word rangavali: ‘rang’ is colour and ‘vali’ is the pattern. Making rangolis is an ancient art and a sign of celebration, and central to any religious ritual including weddings and parties. Kanta: The second object I chose for the display is from my own home and represents the next step in welcoming Ganesha to your home through the door: it is a toran (from the Sanskrit word torana), or door hanging. When you enter your home through the toran, you place flowers, turmeric, palm leaves and coconut near where Ganesha is going to sit in your shrine. Finally on your shrine, you have the puja thali – or prayer tray. The prayer offering (thali) laid out on the tray normally includes flowers, fruit, water, camphor, food and a monetary offering. Gyan: Another important object in welcoming Ganesha is a tray full of Indian sweet meats so we put this in front of the statue at the launch. Having prayed to Ganesha, the sweet meats are afterwards consumed by the devotees and at the Museum of Oxford exhibition launch, we shared them with the visitors. Antonia: How is the festival of Ganesh Chaturthi celebrated in Oxford? Gyan: If we had a temple in Oxford, we would celebrate through a 10-day festival of prayers and ceremonies to a statue of Ganesha residing in the temple. This would culminate on the final day with the statue needing to be cleaned. Usually what you would do in India is to take him to the nearest river and give him a good wash and bring him back and re-establish him in the temple. Antonia: How did you welcome Ganesha to Oxford on the day of the exhibition opening? Kiran: For me, it was an exciting day with lots of preparations going on in the gallery, and we welcomed Ganesh the way they still do in India: with special food and many people singing, everyone joining in – the visitors of the Museum were clapping and some tried to sing with us as well. We decorated and cleaned the gallery and put up new garlands, fresh flowers, coconut, pine leaves, red colour turmeric and Indian sweets like ladoos. Kanta: It was a day for everyone to be together and I think it worked really well. Gyan: It was also wonderful to have the performance of a traditional invocatory dance dedicated to Lord Ganesha by trained Indian Classical dancer, Shahila Gokul. Talking to people afterwards, they all said it was a perfect way of depicting Ganesha and devotion to Ganesha. Antonia: What were the important considerations the Museum needed to take into account when displaying Ganesha? Kanta: I think that the British Museum and the Museum of Oxford brought Ganesha here with a lot of respect: there was a clean place in the gallery, and a central place with enough space, rather than him being hidden away in the corner. Gyan: The main thing about displaying a deity in a museum is that while some people come to look at it as an artefact from antiquity, there are also people who come to look at it as a form to which they show their devotion. So it is important for a museum to allow some space around the statue rather than crowding him with objects that are totally unrelated. That way, people can sit or stand there in silence, for their one-to-one prayers with the deity. I think that in the Museum of Oxford space, this was done very well. Kanta: And the statue is approachable, you can go right up to it. Kiran: I think it’s very unique that the Museum of Oxford asked local people to provide loans to accompany the statue of Ganesha, and to have the veil on the plinth because it shows what the statue was originally meant to be used for. When I arrived here in Oxford for the first time and visited another museum, I saw a statue of Ganesha behind glass and I thought: this is supposed to be looked at as a god, and it’s now just a piece of the museum. I loved it that in the Museum of Oxford this wasn’t the case. The exhibition launch was so lively and people were able to see Ganesha being welcomed to the space in the way that he would have been traditionally beyond the Museum. Because we don’t have a temple in Oxford, in the week before the festival, we hold our usual prayer session and carry out a 20-minute puja or prayer of devotion to a little statue of Ganesha. We then wash him, feed him and so on, and then we say mantras. Kanta: Ganesh Chaturthi is the birthday of Ganesha and many people celebrate at home with a small clay Ganesha. Having welcomed him and worshipped him, you immerse him in a bucket of water outside. 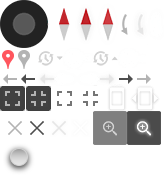 This is a way of saying ‘beginning of the new’. This is something we do in our homes in Oxford. The Museum of Oxford was the second of seven venues to exhibit an 800-year-old statue of the Hindu god Ganesha, which is on loan from the British Museum. The Museum of Oxford worked closely with members of the city’s Hindu community to co-curate a display to accompany this beautiful object, and they also contributed Ganesha statues of their own and other items from shrines in their homes to the exhibition. The British Museum’s Spotlight tour Celebrating Ganesha is touring four more venues across the UK as part of the British Museum’s National Programmes. Ganesha will be on display at the Horniman, London from the 11th February.